I work in the corporate world and I know I am not meant to be there. I have a strong feeling that I am to do something in the mind, body, healing field. I first thought about learning to read Akashic Records for people to help them release whatever is from a past life that is keeping them stuck from experiencing the life they want. I don’t see or hear things from Spirit, spirit guides, angels so I am not sure what area of this kind of work I need to be in. Can you help give me some guidance? I hear from my peeps not to be so quick to leave your position just yet. Solid groundwork must take place before getting yourself in position to help others and I am to understand you will do fine. I am hearing that work on your chakras is something that must take place. There are seven main energy systems that work with the outside forces of your being and some need attention. More specifically is the Root, Spleen and the Solar Plexus. All of these chakra centers need to connect to the heart chakra. These centers are all about your belief system and how it interfaces with the spiritual world. You can google chakra’s and find ample information and corrective steps for balancing out your energy system. Be honest with yourself no matter what the situation is going on in your life. This will bring inner peace and it will have a snowball effect on other areas in your life that will truly change everything around you. For everything that has ever transpired here on this plane of existence, it was recorded and stored in another plane. I hear it is in the astral plane and it is a place that can be reached. Going back to your chakras, it is also through this energy system that you can obtain the wisdom of your higher self. It is no wonder that they want you to work on your chakras ;and get them balanced. Through your higher self is the connection to the akashic records you seek. Work with meditation religiously until you can quiet the mind of all noise and work with yoga to put balance into your life. Dedication is something that you will have to be to accomplish your goal. 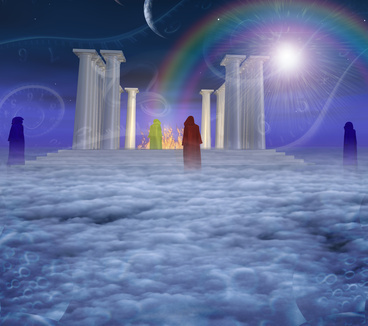 By doing these steps from your guides, you will be able to hear spirit, spirit guides, angels and divine masters. They can answer any question you have. I can feel the energy that comes through your hands and that is a gift in of itself. You can also do healing work if you wanted to. Be strong and trust in your abilities no matter what anybody else tells you. I hope this helps.